Today, students from Pyramid Fort Walton Beach were invited to invade Red Lobster's kitchen for a lesson in biscuit making! 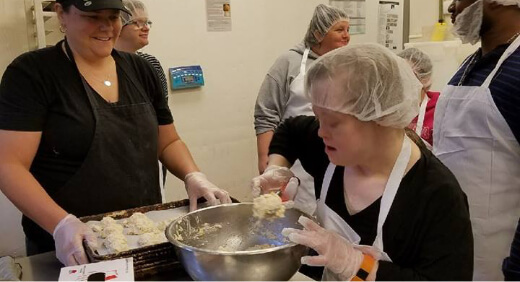 Community Coach Peter Banks and Training Instructor Joanne Lindsey took the students to the local restaurant, where they not only learned the art of a good biscuit, but also a little about the history of the restaurant. After their lessons came the good part...the eating of the biscuits! Many thanks to Red Lobster General Manager Leann and kitchen staffer Kim for taking the time to teach us a few new things...and for the tasty biscuits!